The newest place to play in Disney World’s Hollywood Studios is Toy Story Land. The land opened on June 30, 2018. 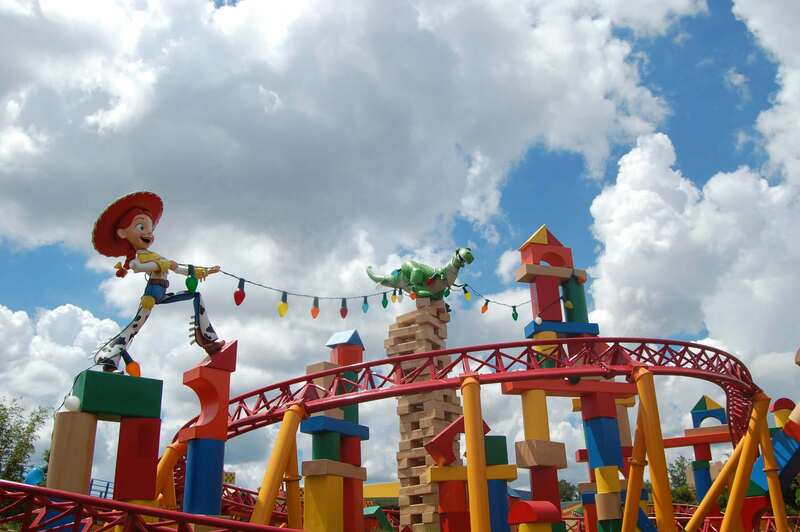 What can you expect on your first visit to Toy Story Land? What rides are available in the new land? Are there any food and merchandise locations? What character meet and greets are offered? Read on to find out everything you need to know for your first visit to Toy Story Land. 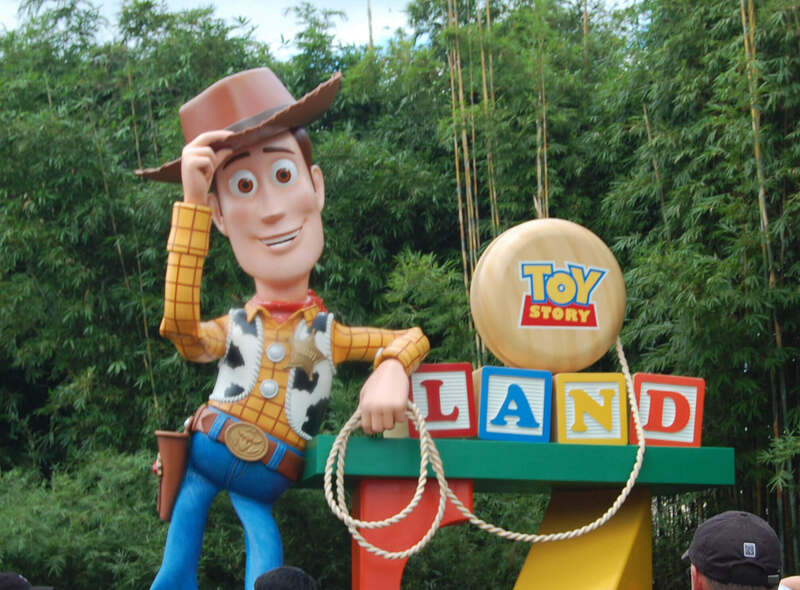 Like everything Disney designs, Toy Story Land was created with a back story. Here, you are entering Andy’s backyard. As you do, you shrink down to the size of a toy to play with the other toys from the movies while Andy is away. The story is told through the details scattered throughout the land, such as the large privacy fence behind Slinky Dog Dash and the larger-than-life shoe prints left behind by Andy on the walkways. The story is enhanced further by the cast members working in Toy Story Land who refer to guests as toys. There are three rides in Toy Story Land: Slinky Dog Dash, Alien Swirling Saucers, and Toy Story Mania. Toy Story Mania has been open for about 10 years. The other two rides are brand new. One of the new rides, Slinky Dog Dash, is a cute family-friendly rollercoaster. 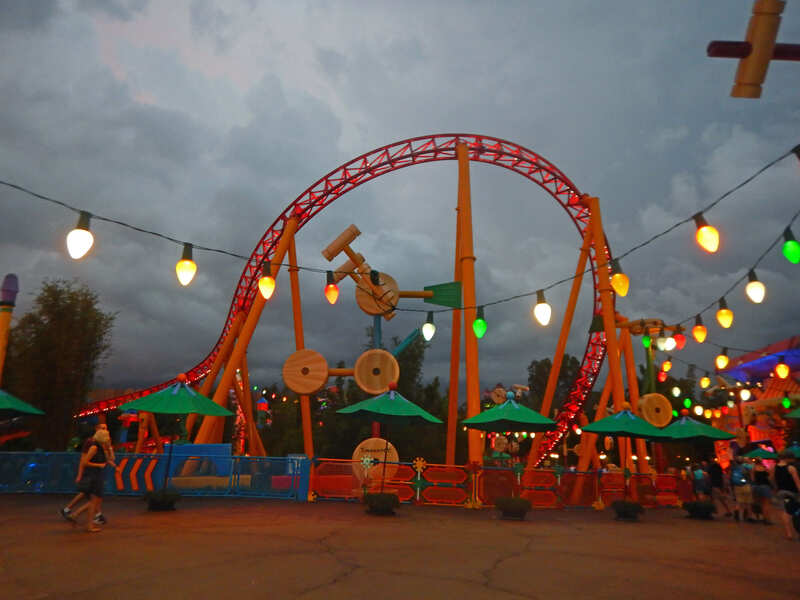 Slinky Dog Dash is a cute family-friendly rollercoaster where riders zip all around Andy’s backyard on the back of Slinky Dog. This is a fun little ride that everyone over 38 inches can enjoy. The ride zooms past statues of Jessie and Rex. Beware that lines for this ride grow long rather quickly. So, either grab a fastpass for it in advance or ride it early in the day or late at night to avoid long waits. Additionally, the queue for this ride is outdoors with little shade, so be prepare to wait in the hot sunshine. Alien Swirling Saucers is fun. The second new ride in Toy Story Land is Alien Swirling Saucers. 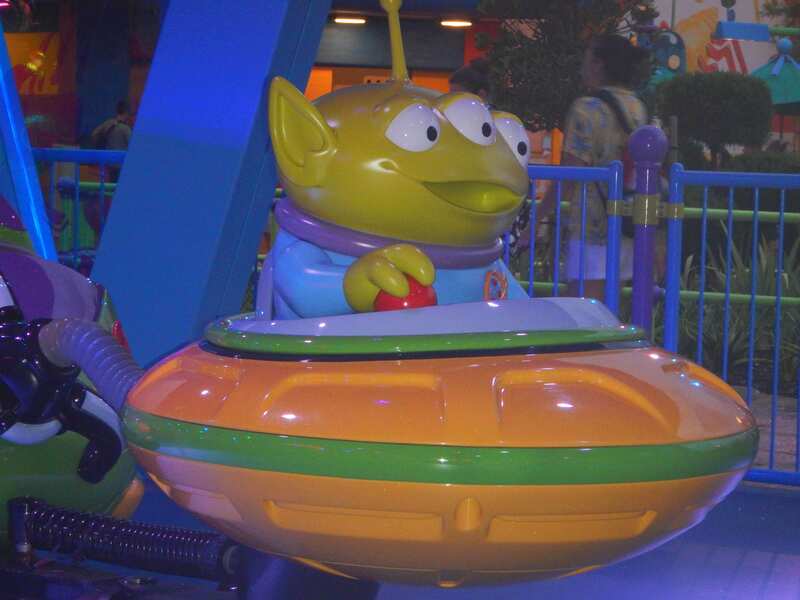 On this ride, you sit in a flying saucer while being whipped around by a little green alien. Fun lighting and catchy music add to the whimsy feeling of this attraction. The ride is a tad short, however. I wouldn’t recommend waiting more than 30 minutes or so for this one. If you are familiar with Carsland in Disneyland’s California Adventure, this ride will remind you of Mater’s Junkyard Jamboree. They are very similar in feel. The saucers have a height requirement of 32 inches. Toy Story Mania is a great ride for competitive families. 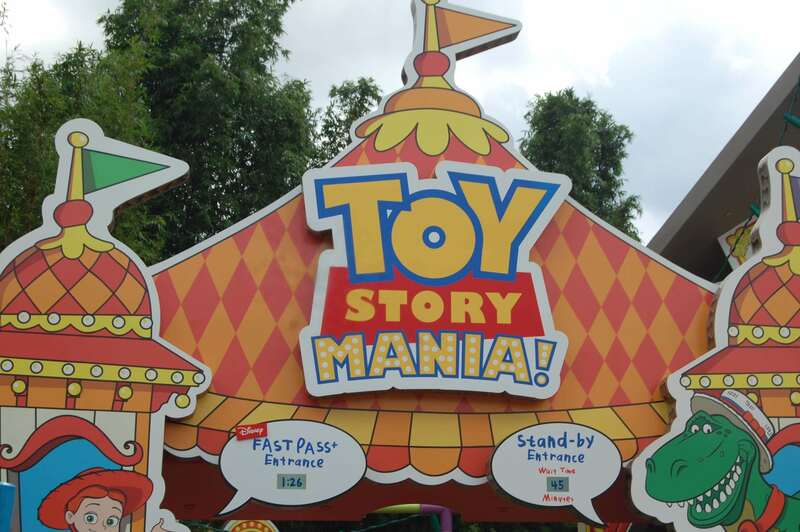 The third ride rounding out the Toy Story Land lineup is Toy Story Mania. This is an old favorite of many people. I found the ride has an updated feel to it, however, due to a new queue. This 3D ride is suitable for the whole family. It allows you to compete against each other in a series of carnival style games hosted by the characters from Toy Story. This ride is super fun especially for competitive families. Toy Story Mania used to have really long waits, but the addition of the other two rides has greatly shortened the lines here. There are no height restrictions for Toy Story Mania. The only choice for food inside of Toy Story Land is Woody’s Lunchbox. This walkup quick service eatery has no indoor seating and only a limited number of outdoor seats. The menu features sandwiches, soup, salad, and a modern take on the pop tart for dessert. As far as merchandise locations go, you will only find a couple of carts selling toys and basic souvenirs in Toy Story Land. Currently, you can find Buzz, Woody, and Jessie meeting guests in Toy Story Land. Woody and Jessie appear together near the entrance to Toy Story Mania. Buzz is by himself near the entrance to the land. Additionally, at times, you may see one or more of the Green Army Men out and about. Toy Story Land is good clean fun for the whole family. It is a small land with limited options. But, it adds some much needed attractions that can be enjoyed by guests of all ages. Even the bathroom is themed! The land is jam-packed with details that are a feast for the eyes. From a popcicle stick wall to domino benches to tinker toy fences, there are cute little surprises at every turn. 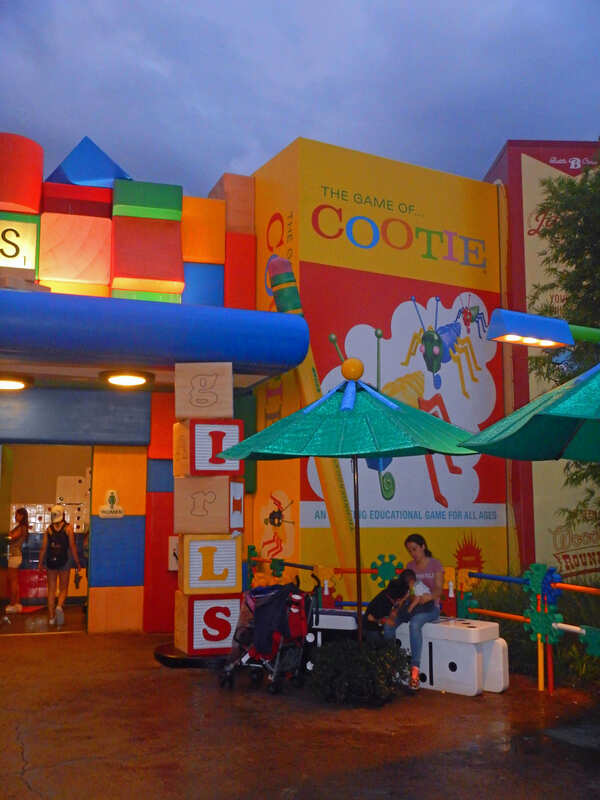 You will even find the girls bathroom housed in a Cooties box! The atmosphere becomes even more fun at night when all the oversized Christmas lights come on. Toy Story Land’s atmosphere is more fun at night. Toy Story Land is the place to play in Hollywood Studios. Regardless of age or size, there is something for everyone in the family to enjoy in this little corner of the park. The three rides are cute and entertaining. The details create a lively and immersive environment. 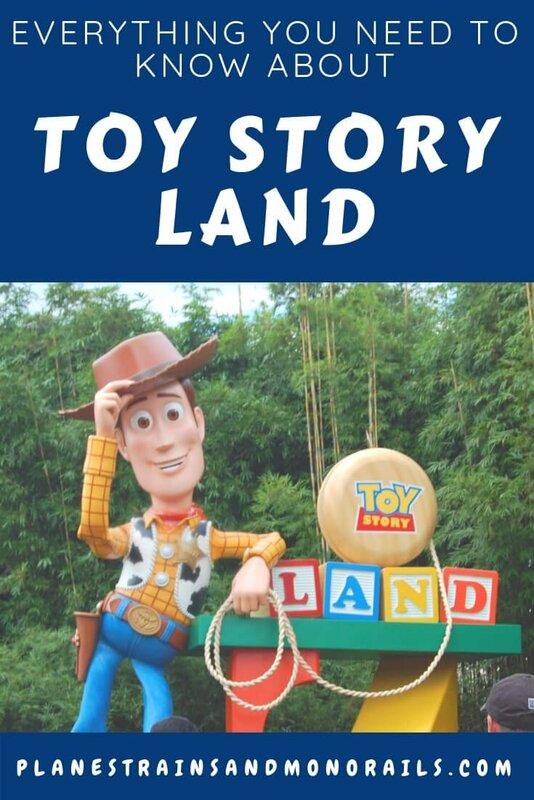 Be sure to check out Toy Story Land during your next visit to Disney World. For more things to do in Hollywood Studios, see my Magical Must-Do’s and Great Places to Take Photos in Hollywood Studios. If you are a Star Wars fans, see my posts about Magical Must-Do’s for Star Wars Fans and Jedi Training. 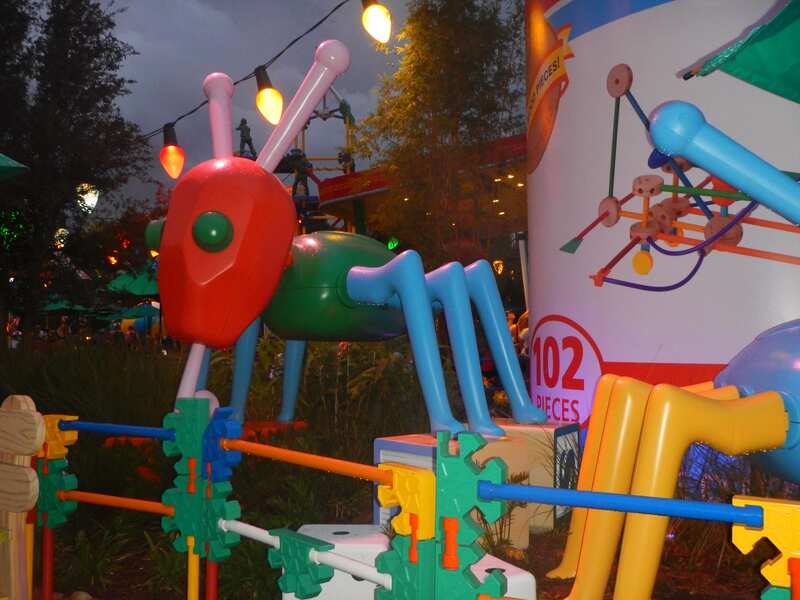 Have you explored Toy Story Land yet? Leave a comment and let me know what you thought. 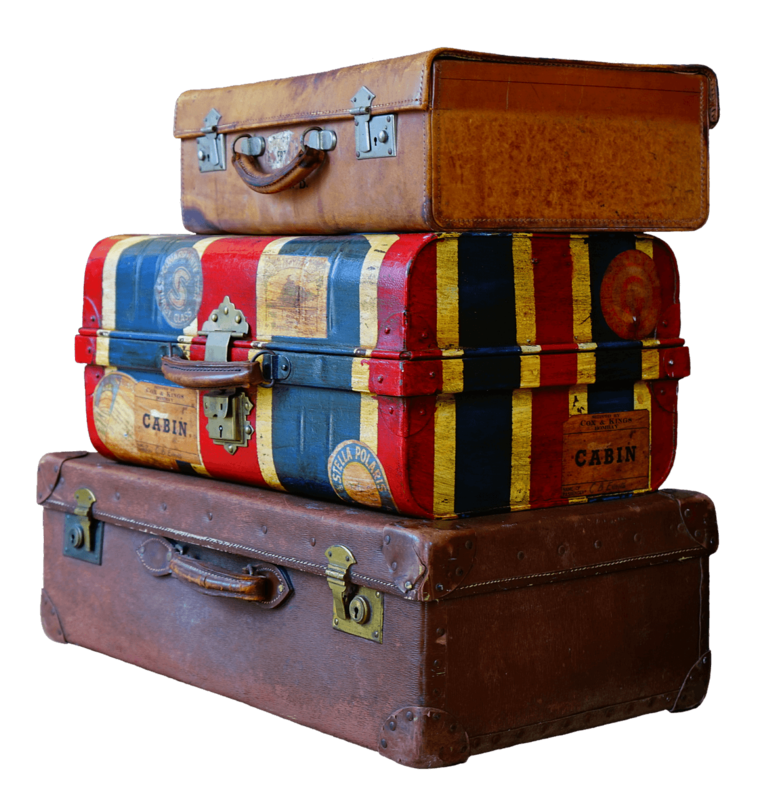 Happy Travels!